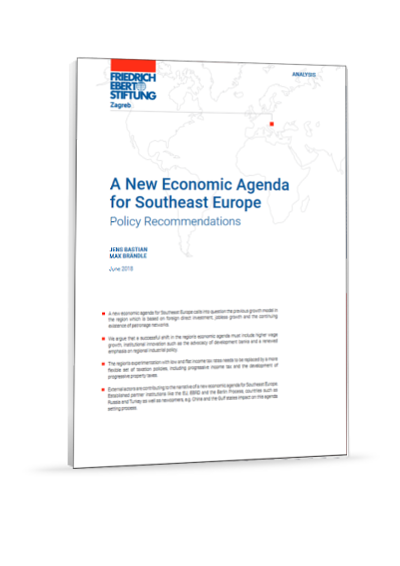 Though rarely a topic of public debate, addressing the challenges of climate change is a particular issue for Southeastern Europe, owing to the region’s combination of post-communist and post-conflict governance concerns. Policy regimes which do not address the region’s specific needs — in particular those rooted in ongoing concerns about unemployment, poverty, inequality, and social justice more broadly threaten to exacerbate the region’s already pronounced social malaise. The Western Balkans remain the site of numerous, protracted bilateral disputes. Most of these concern competing claims to territory, identity, the status of minorities and, in some cases, name disputes (Macedonia is the most famous example of the latter but similar issues exist in parts of Bosnia). 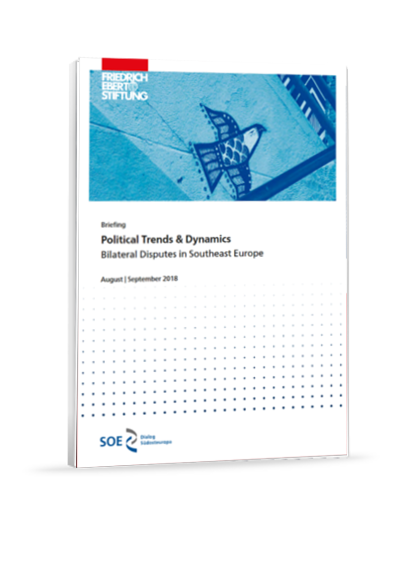 From Sarajevo to Skopje, and Kosovo to Cyprus, a significant number of polities in the region remain riven by fundamental questions concerning their political and territorial integrity. The development gap towards Central Eastern Europe as well as towards the EU average remains huge. In order to bridge this gap, the Western Balkans need to make better and more differentiated use of foreign direct investments, the EU has to devise its funds for the region in a more targeted and sustainable way, the governments of the region have to develop industrial policies for their respective countries as well as for the region as a whole, and, finally, the instruments of monetary and fiscal policy have to be revised. This volume is based on the work and discussions of a working group that has gathered with the assistance of Friedrich-Ebert-Stiftung. 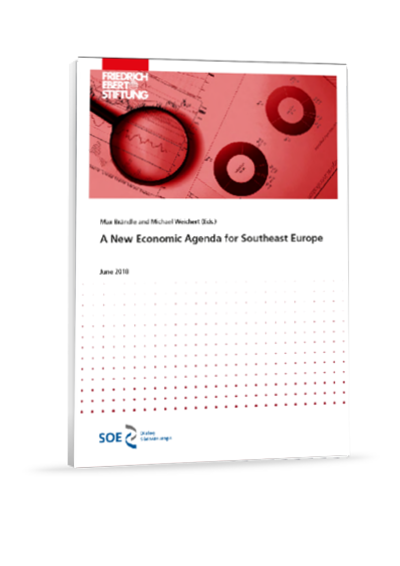 Its aim was to describe the economic challenges and solutions towards more sustainable, qualitative and inclusive growth for Southeast Europe. 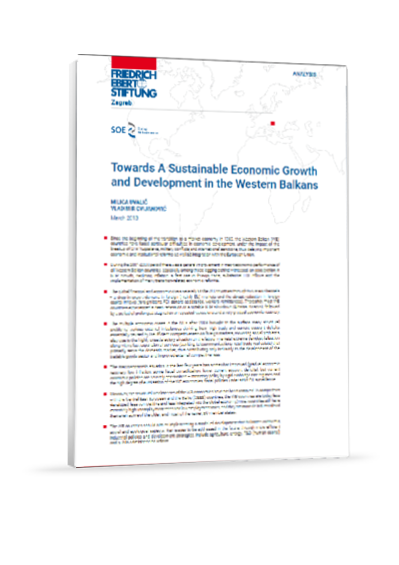 Although the transition to a market economy and multiparty democracy in the Western Balkan (WB) region started in the late 1980s, in comparison with countries in Central and Eastern Europe and the Baltics (CEEB), most WB countries are today lagging behind in their level of economic development, economic and institutional reforms, and integration with the European Union (EU). Security of energy supply, energy efficiency and the effects of climate change, have been major topics of discussion in recent years. What is the meaning of these topics for Serbia today? Serbia today is largely dependent on Russia for energy. There is only one supply route, which is highly unfavourable for Serbia. 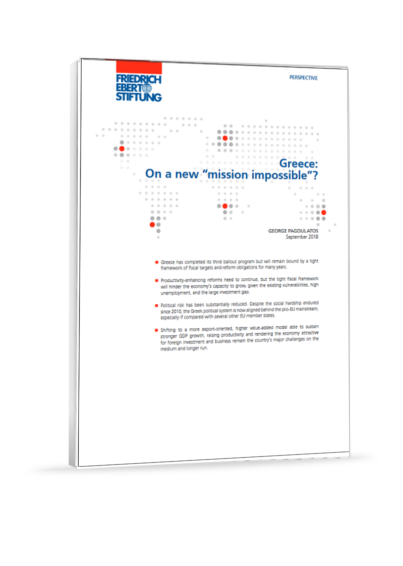 Greece: On a New “Mission Impossible”? 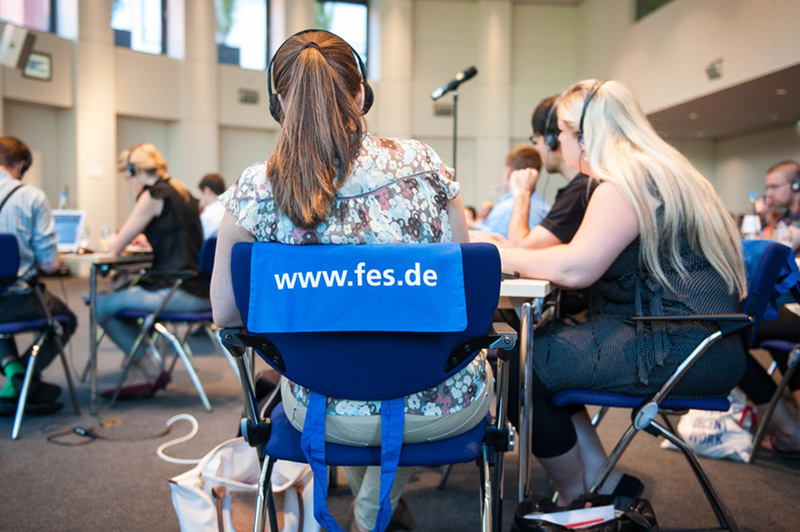 Greece’s formal graduation from the 3rd financial assistance program, on 20 August 2018, concluded an arduous and dramatic trajectory that had begun in April 2010, when it became the first Eurozone member state to be bailed out. Though symbolically important and a welcome development, the completion of the 3rd program leaves no room for celebration. 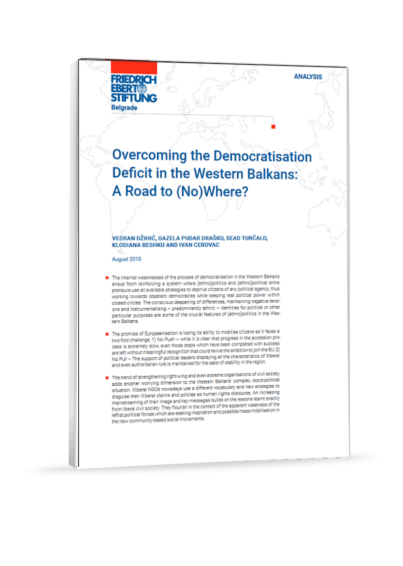 The internal weaknesses of the process of democratisation in the Western Balkans ensue from reinforcing a system where (ethno)politics and (ethno)political entrepreneurs use all available strategies to deprive citizens of any political agency, thus working towards obedient democracies while keeping real political power within closed circles. The conscious deepening of differences, maintaining negative tensions and instrumentalising – predominantly ethnic – identities for political or other particular purposes are some of the crucial features of (ethno)politics in the Western Balkans.